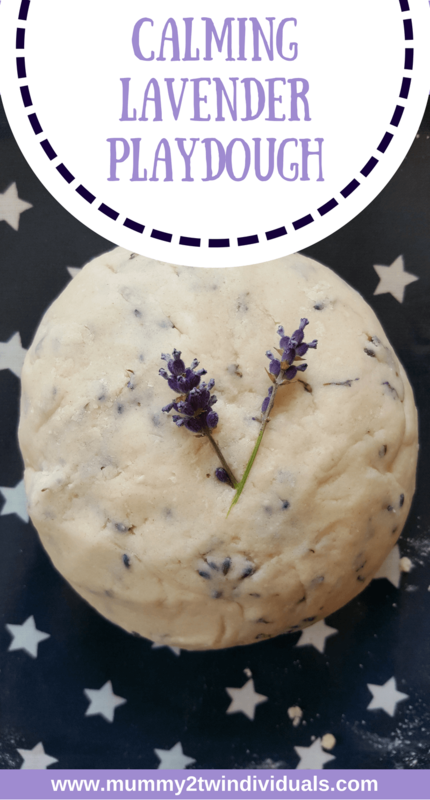 You might have seen my post on lavender shortbread biscuits. If not it’s HERE – they’re yummy and only need 4 ingredients. 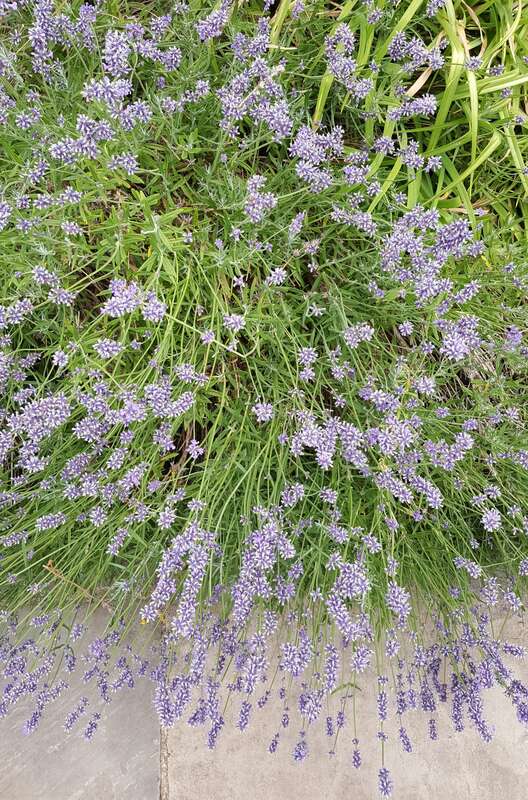 I came up with the idea as we have an abundance of lavender in the garden and thought it’d be fun to use it in an activity with the girls. 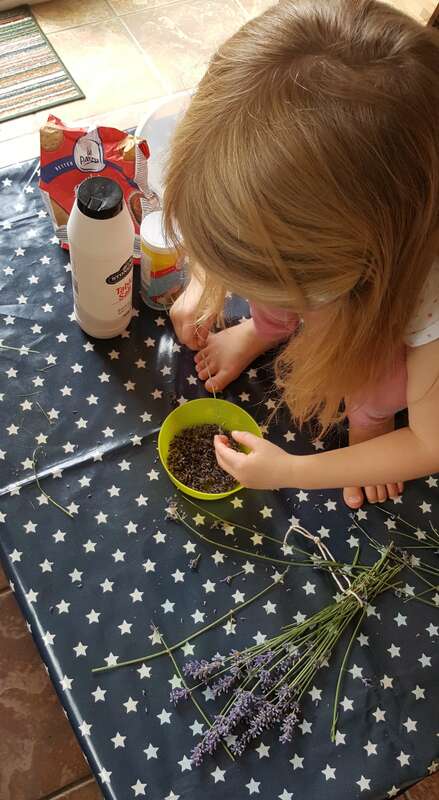 Another mummy suggested adding lavender to playdough. 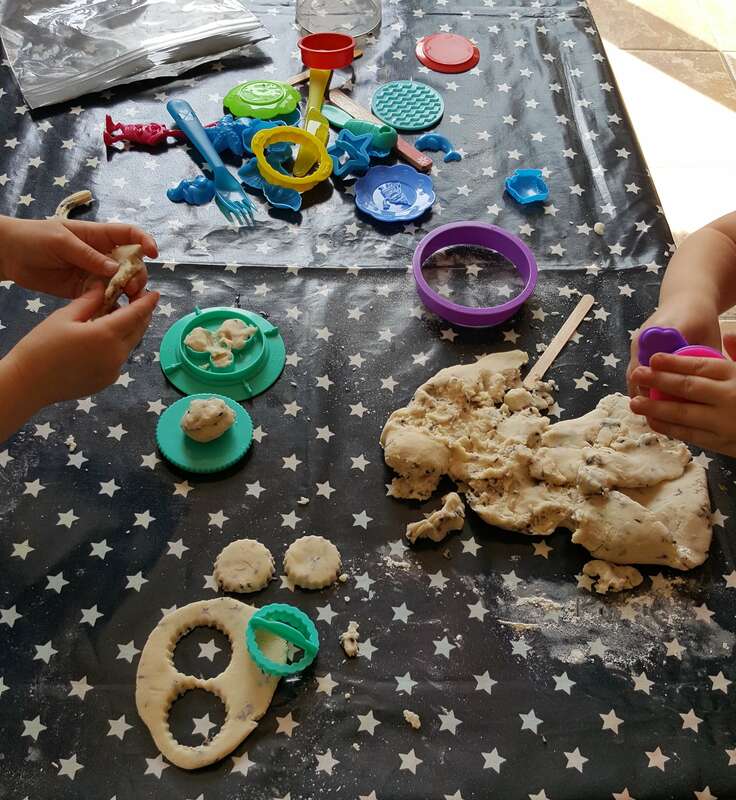 To be honest, I’d been putting off making playdough as it seemed a bit of a faff but I finally managed to remember to pop cream of tartar into my trolley this week and so thought we’d give it a shot. I’m glad I did as it was super simple and I’m not sure why but my girls played with it for a lot longer than when I just pop open a pot. There is boiling water involved but the girls were still involved in making the playdough. 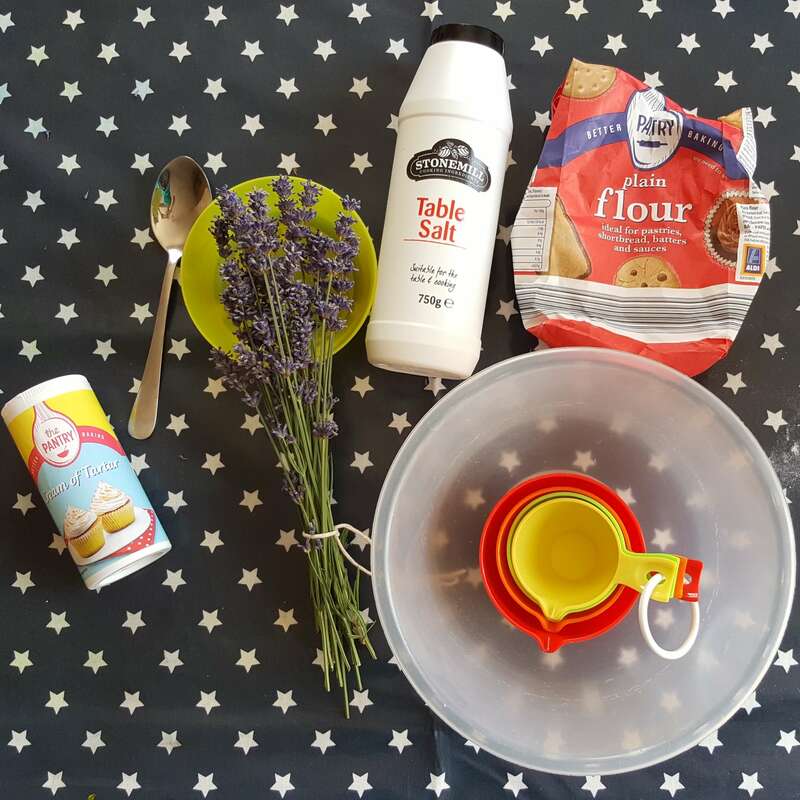 I love a recipe that uses cups. It’s really easy to let the girls measure out the quantities we need. A few days before we made the playdough the girls helped me to collect about 20 stems of lavender which I hung up to dry out. This isn’t totally necessary but makes removing the flowers easier as they just flake off. I just then rinsed the flowers in a sieve and set them aside to dry on a paper towel for a few minutes. While the flowers were drying, we measured out and tipped all the other dry ingredients into a bowl and mixed. The flowers were then also added. I then added the oil and a cup of the water. The girls stirred. Once I was happy that the mixture was a dough like consistency, I got my hands in and kneaded it all together. You could, at this point, add a few drops of lavender essential oil or purple food colouring but I didn’t have either. The girls wanted to get at it straight away and enjoyed that it was warm to play with. The smell was lovely too and I think this would be a great winding down activity before bedtime if you had the time one evening.